Polished LED star light dance floor that will bring a sparkle to your event. 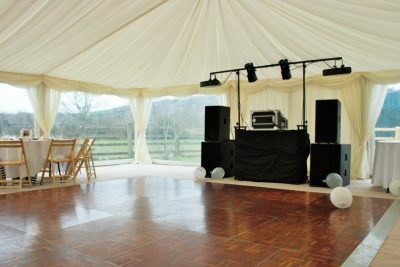 Black dance floor is available with white LEDs which can be set to static or variable twinkle settings. Flooring sections interlock to provide a smooth, level dance floor. The LED star light floor comes complete with a simple to use controller which will create a stunning effect for your event. 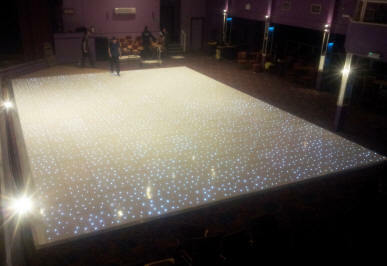 The LED Starlight Dance Floor is available in white. As the with the black dance floors these are available with white LEDs which can be set to static or variable twinkle settings. 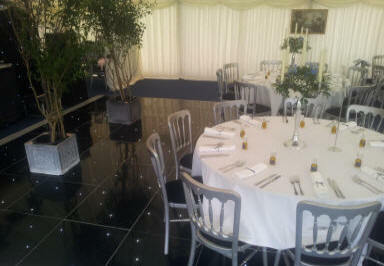 Our Black and White dance floor produce a stunning effect for any event. The interlocking design of the panels ensures we can produce a smooth flat surface with no concerns of panels separating. The brilliant elegance of a black and white dance floor will bring dramatic effect to your wedding or special occasion event. 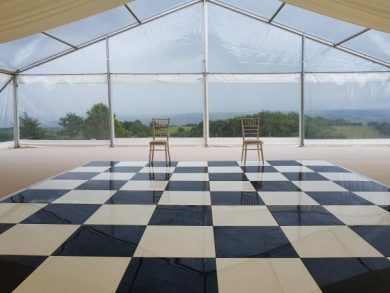 Chequered dance floors have always been and are still now an extremely popular choice. The Wooden Parquet dance floor will provide your event with sophistication and elegance and can be seen in many top hotels and venues. 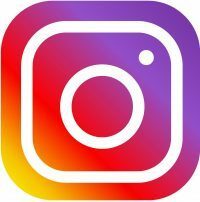 The wooden parquet dance floors are highly lacquered and polished for a very hard wearing and beautiful finish. Contact us today for further information or to book a dance floor for your event.